Yes this seems kind of late in the season to just start pruning the lavender! Truth be told I have not gotten around to cutting anything back for fall and its nearly Christmas! Lavender is one of those plants that really benefits from pruning but doesn’t seem to look good no matter when I do it, in spring I risk cutting new flowering growth, in summer I would have to cut down the bee buzzed fragrant flowers and in fall removing lavender’s semi-evergreen foliage makes the already bare looking garden, look even more vacant as we move into winter. In the past I have summer pruned lavender but last year I left it alone so I could enjoy the wonderful flowers in the garden as long as possible, now this year I am “enjoying” the many lavender seedlings those flowers produced by shedding their seeds all over the place! Maybe that is the real reason summer pruning is recommended for lavender? In my small garden I didn’t really give the lavender the 2’x2’ space it would have liked, its more confined to about 12” to 18” per plant, this makes cutting my lavender back all the more important as I have found out a lavender plant can produce 12” or more of new growth in just one growing season. 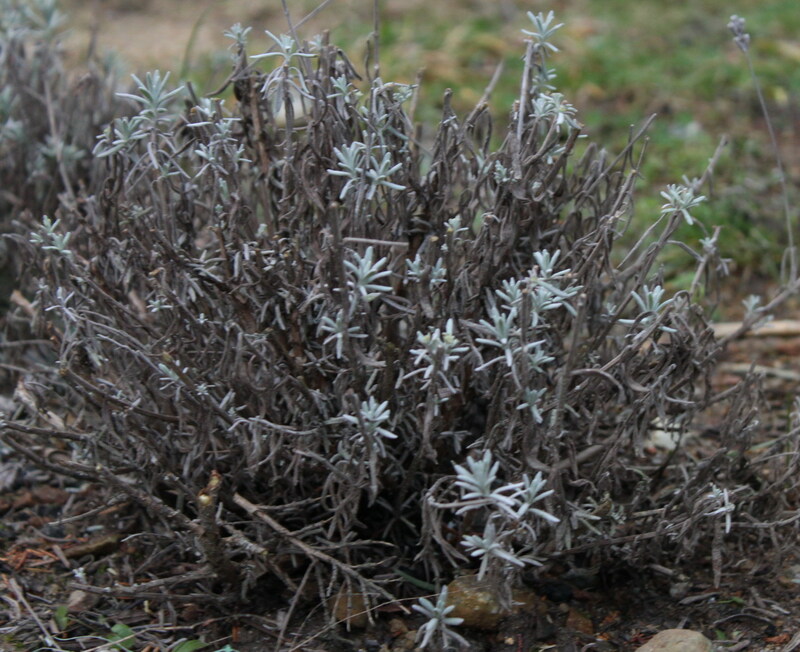 If left unpruned lavender has a tendency to make all the new growth just on its crown, leaving ugly spindly branchy legs showing at the bottom, just one more reason why I really have to get out there and cut all those pretty silver leaves off(oh well they’ll grow back). 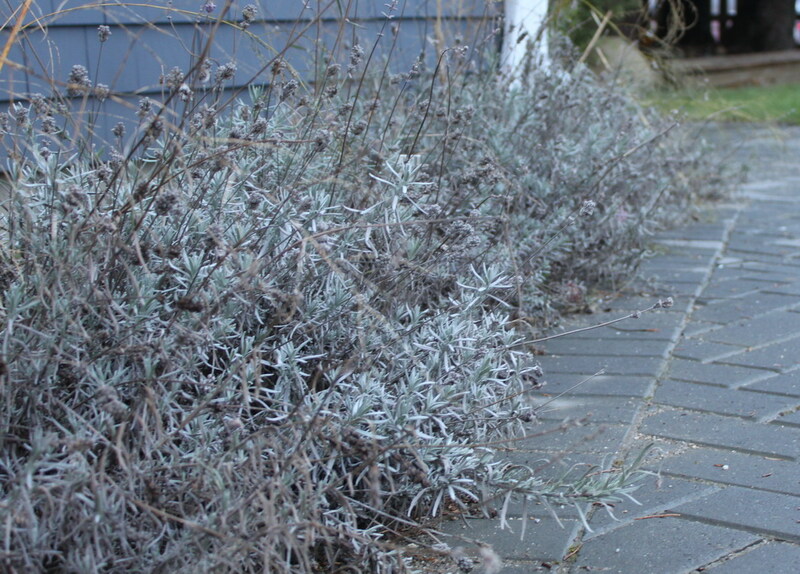 The rule of thumb about pruning lavender seems to be to take about 6” off all around, but because I lack space I do clip a lot more than that, and the lavender seems to come back just fine each year. 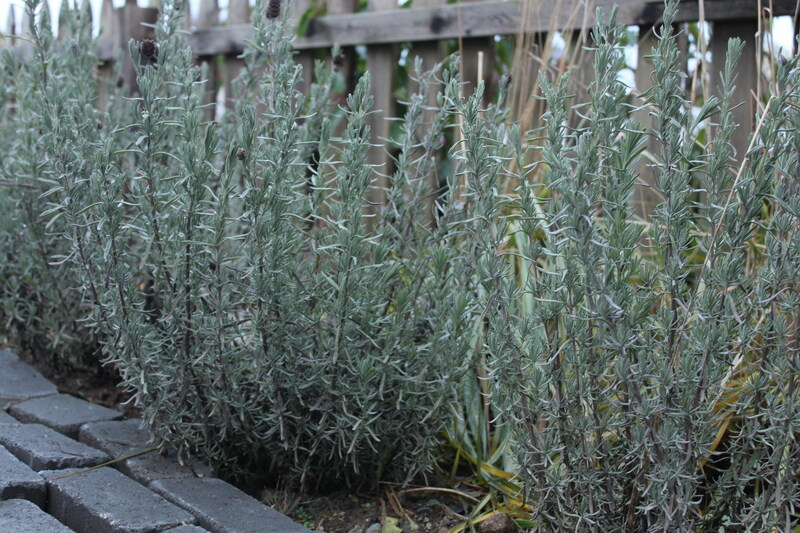 it’s easy to see why Lavender is an old time garden favorite, it’s such a forgiving plant. This entry was posted in Ornamentals, Perennial Edibles and tagged edible flowers, herbs, lavender, ornamentals. Bookmark the permalink.